Sometimes there’s so much inspiration flowing that you just have to grasp it. 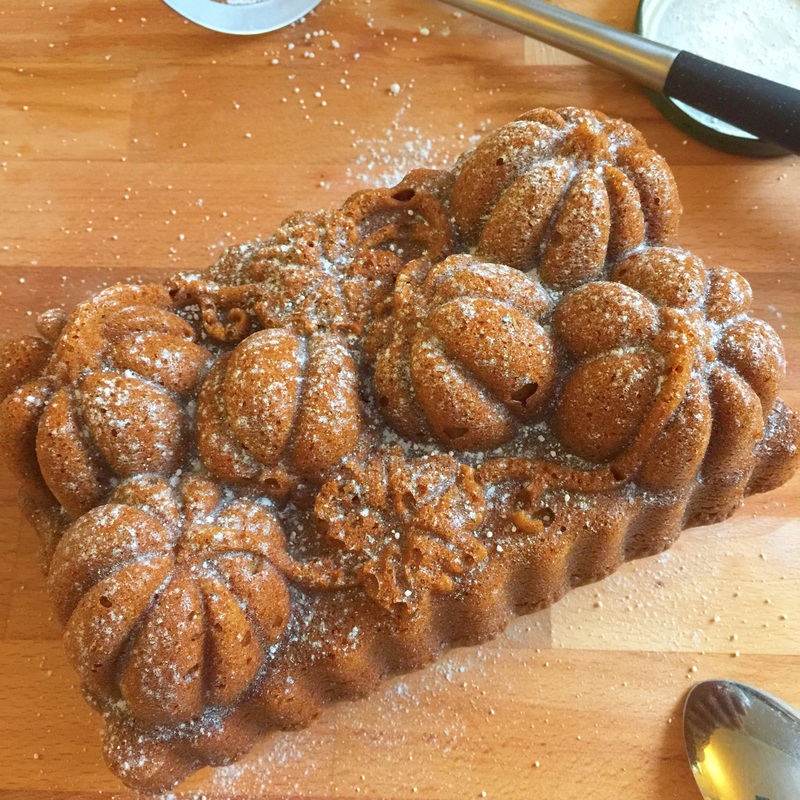 I recently purchased this “Pumpkin Patch” loaf pan (online and on sale!) 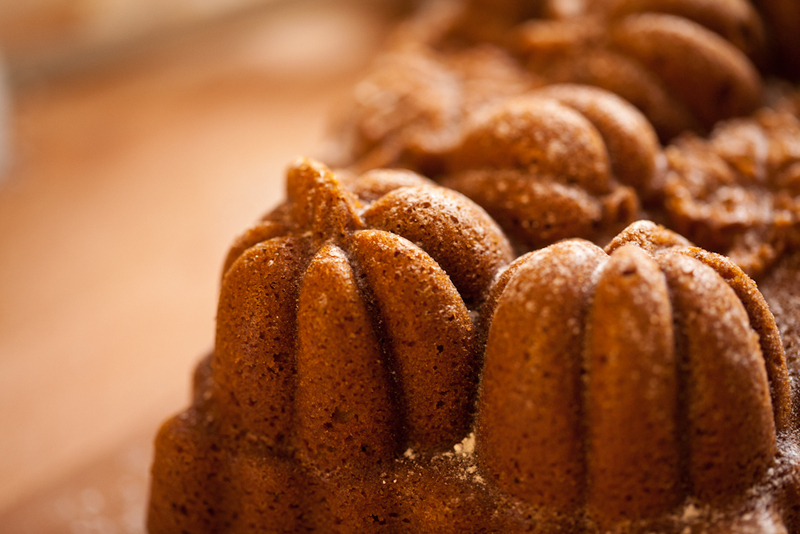 from Williams-Sonoma that I had been eyeing for months and lack of pumpkin puree or sugar pumpkins be damned! 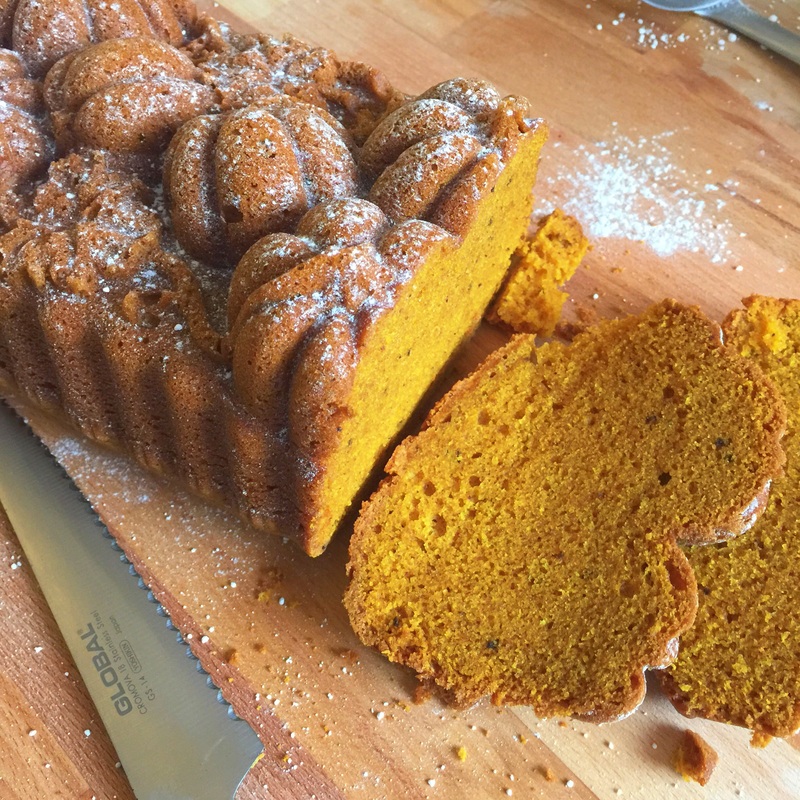 I was going to make a pumpkin loaf one way or another. My original plan of roasting our jack-o-lanterns after the fact failed and we didn’t make it to the stores soon enough to get the last of their carving pumpkins so I had to find alternatives. I’ve already ordered some canned pumpkin puree online but that might take weeks to get to me so I bought a quarter of a Kent squash and intended to roast it and use its puree. Roasting the squash was easier than I even expected. I washed the rind, kept it intact and put it on a baking sheet lined with foil to bake at 350F degrees. I poked it after 60 minutes and it wasn’t quite soft enough so I left it for another 20 minutes. After I let it cool I scooped out and discarded the seeds and the rest of the roasted flesh scooped out easily before I discarded the skin. No mess, and no difficult taking off of the rind. 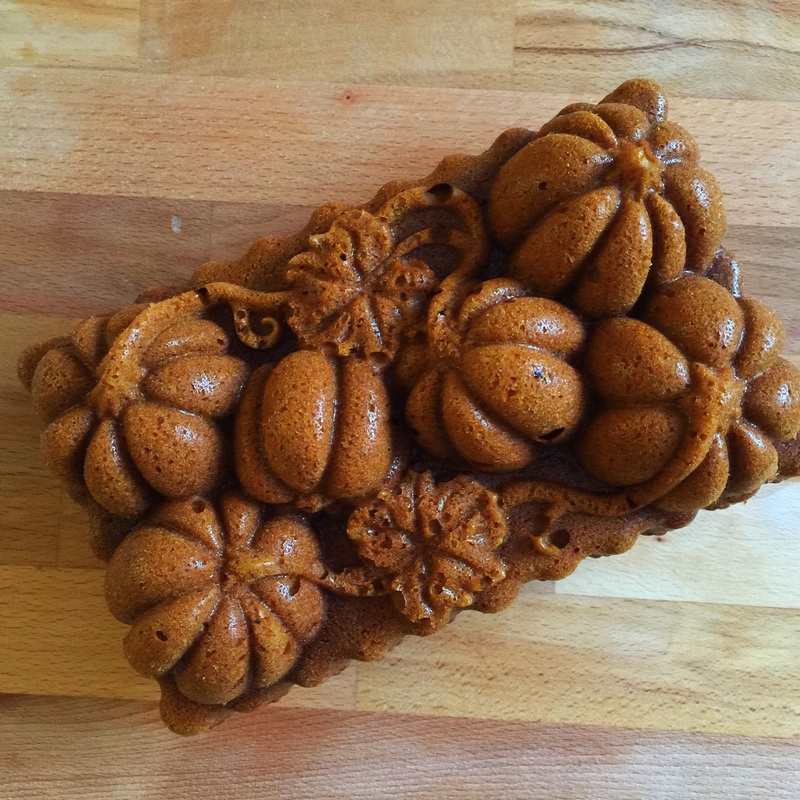 The roasted squash tasted quite similar to my usual pumpkin puree but without the deeply orange colour and it had more moisture, but it would do well in this very forgiving loaf recipe. 1. Pre-heat oven to 325F degrees. Grease or line two loaf pans. 2. Combine all ingredients for cream cheese swirl in a medium bowl and mix until smooth. Place cream cheese mixture in freezer while preparing the rest of the loaf to firm up. 3. Sift together flour, sugar, baking soda, salt and spices in a small bowl. 4. 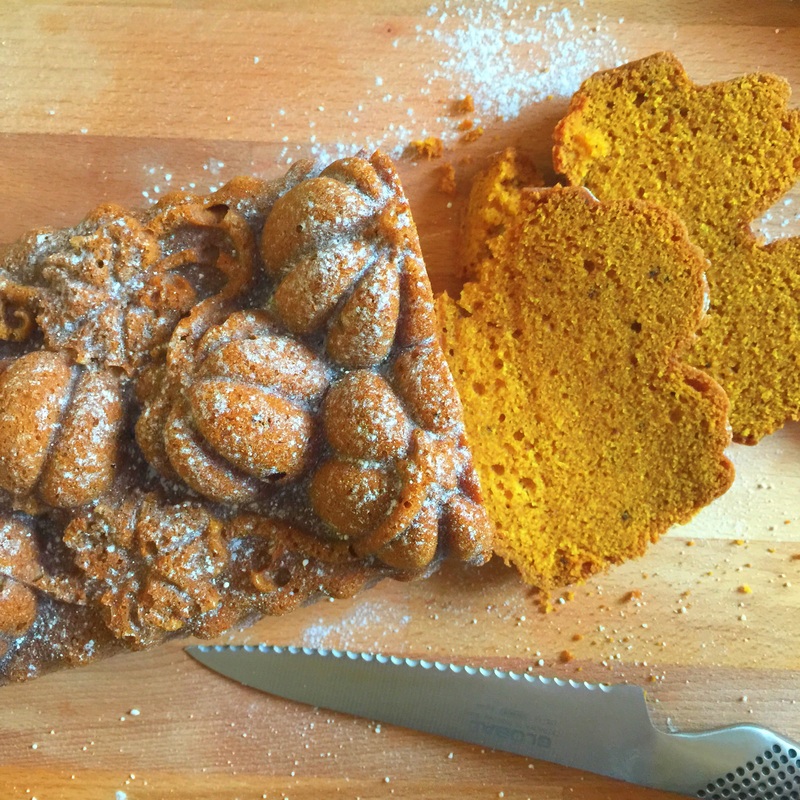 In a large bowl, combine pumpkin, eggs, oil and sugar. Slowly add flour mixture to pumpkin mixture and stir until just combined. 5. 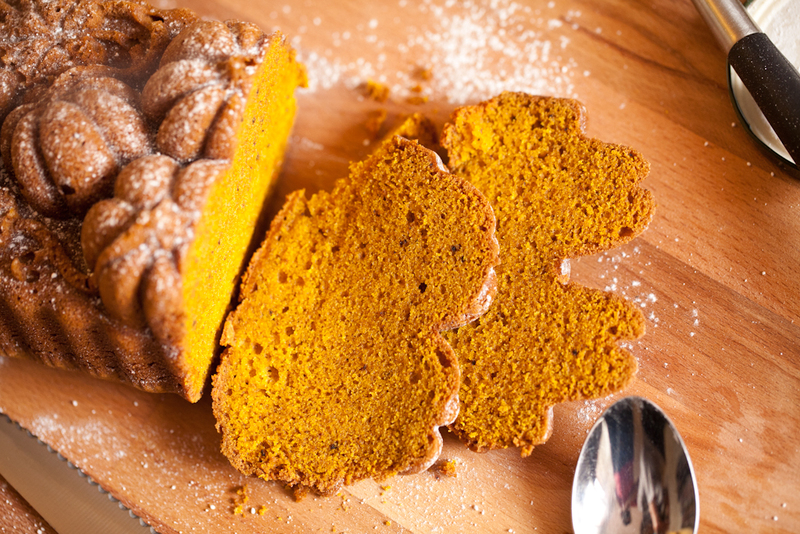 Pour 1/4 of pumpkin mixture into each loaf pan. Split cream cheese mixture into both pans and top with rest of pumpkin mixture. If a visible cream cheese swirl is desired, use a butter knife to make several swirls in the loaf before baking. 6. Bake until cake tester comes out clean and loaf is very golden, about 60 minutes. Notes: As you can see, I omitted the cream cheese swirl for a less indulgent loaf and it all fit into one very large loaf pan. You can also reduce to 1 cup of sugar in the loaf and add 1/2 cup of applesauce instead. ← The List: Item 153. The Taronga Zoo, Sydney.